What do US Consumers REALLY Think of their Mothers? And do Mothers REALLY feel loved on Mother's Day? 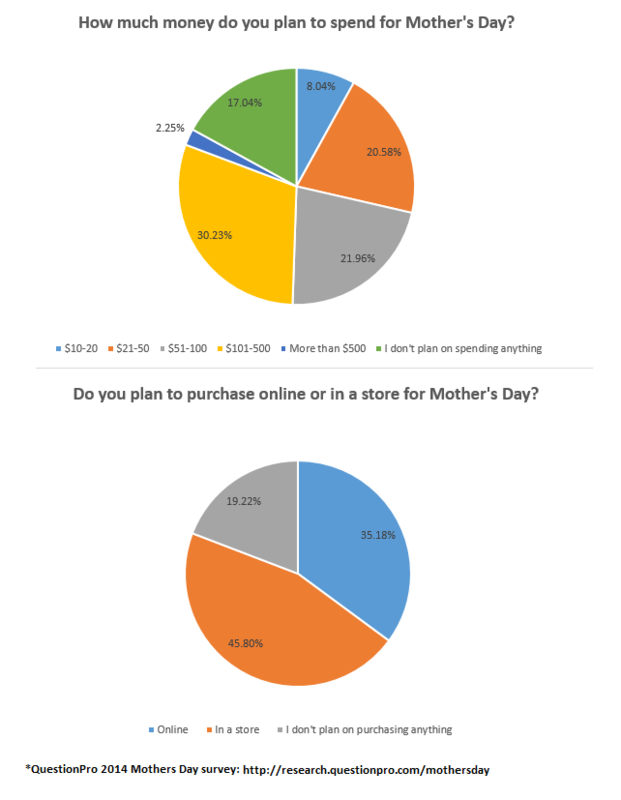 QuestionPro.com, a provider of online survey and analytics tools, today announced the results of a new nationwide survey that found consumers spend more on Mother's Day than they do on Father's Day. The survey also found that 50% of consumers feel better about themselves when they spend more on dear Mom. For the origins of Mother's Day, check out this article from the International Business Times.